Caregiving can take a toll on anyone. It’s normal to need a break every once in a while when providing care to a family member. When you do decide to take some time off, however, your responsibilities are still going to be there. It is for this reason that asking for help is vital when caring for someone. Not only does seeking other people’s assistance help you, but it also ensures that your loved one is getting quality care consistently. Asking for help is not something we’re comfortable with, either because we don’t know if other people can get the job done or we simply don’t want to impose. That’s not the kind of mindset you want to adapt when caring for a family member, because the fact of the matter is, you’re going to need support eventually. You cannot juggle caregiving and everything else going on in your life without it taking a massive toll on you physically and mentally. As a caregiver, you have to put emphasis on self-care as well. 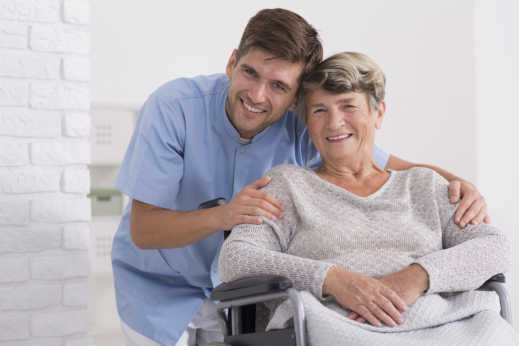 F.A.B LLC Homecare Services, an esteemed provider of Home Care Services in Brooklyn, New York, encourages you to work with us today. We are dedicated to working with families, helping them avoid the dreaded caregiver burnout that happens to so many family caregivers. First things first, you don’t want to guilt people into helping you. Even on the instance when you’re doing more than your fair share of caring for someone, it’s still not right to make people feel bad about themselves. It’s highly unlikely for people to offer you more of their assistance when you’ve offended them. It’s always best to start by being appreciative of every little thing a person does for you. Even when you feel like they should be doing more, pointing that out is not going to do any good to anyone. Thank the individuals who are helping and be grateful for what they do. When you show them how thankful you are for the little things, they’ll be more and more willing to go the extra mile for you. Your friends and relatives can make your life a whole lot easier. Remember that you’re not looking for someone to replace you, just someone to make you breathe a little easier – which is something you deserve. Anyone who is willing to lend a hand with your loved one would be more than appreciated. With these people around, you can focus more on your tasks and even have time some time for yourself. What if you don’t have time to care for a loved one? If you are in this predicament, which many of us are, it would be an excellent idea to collaborate with a reputable Home Health Aide in New York. This professional can provide quality care and even monitor our loved one’s health status while you’re away. We’d love to hear from you. Please feel free to share your insights in the comment section. This entry was posted in Senior Care and tagged healthcare, home care, senior health. Bookmark the permalink.